When working with electronics, one unaccounted electrical current is enough to short out an entire system. From installing a new hard drive on a desktop computer to setting up a new blade in a server, electricity must remain under constant control. Static electricity is an extremely dangerous form of electricity, as you may conduct a small amount of static charge without your knowledge. To prevent such an event from taking place investing in personal grounding is a must. There are several kinds of personal grounding available, each with their own benefits. The one you select will depend on what you’re comfortable with and the kind of electronics you work with. There are many factors involved when selecting the right personal grounding for yourself and your staff. First, look into how you interact with the electronics you wish to protect. Working inside smaller units, such as desktops, requires a different kind of personal grounding than what you might need when walking through a larger server. Take into consideration the kind of equipment you use as well. While a static charge can cause serious damage to most electronics, heat put off by your hands may cause issues as well. All of this is important to consider before selecting the right kind of personal grounding you and your employees need. 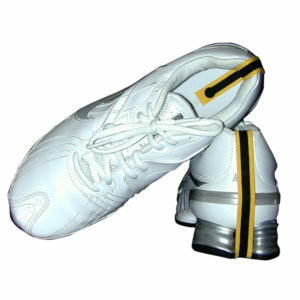 Heel grounders wrap around the base of your shoe. They are designed to stay out of your way. 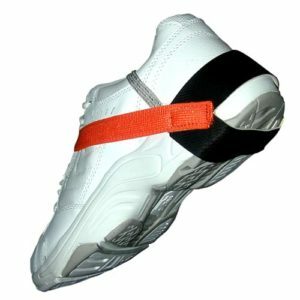 Even when it is installed on your shoe, the small nature of the heel grounders ensures you never notice the device. 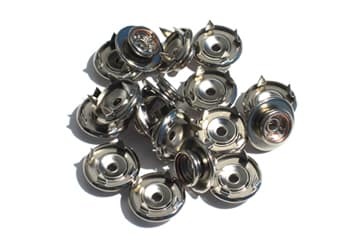 They come equipped with a small metal access point by which you can check the ground and tap off any potential electrical static charge you have built up. In more extreme environments, where the smallest amount of static electricity can short out millions of dollars of equipment, complete static-proof uniforms are necessary. When such a uniform is not needed, an ESD heel grounder can work just as well. Tapping off any potential charge before entering a set area allows free movement without fear of a static current. 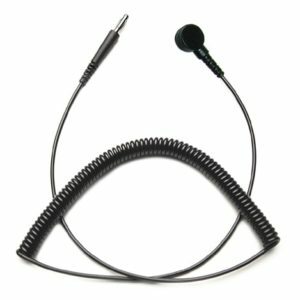 When working within the confinements of a cubicle or other small area you likely will likely need both of your hands-free. The movement of your body, even during a minor shift, can quickly develop a slight static charge. To prevent this static charge from entering the computer or any other electrical device, a wrist band is an excellent option. It wraps around the wrist with a small metal contact point. By connecting yourself, you instantly ground yourself while working on the electronics. This way, should you shift around and develop such a charge it is displaced through the ground. You are not always able to work in a closed, controlled environment. When away from such a location, yet working with delicate electronics, you need to do what you can to protect the hardware you’re working on. An ESD field service kit makes it possible to do just that. 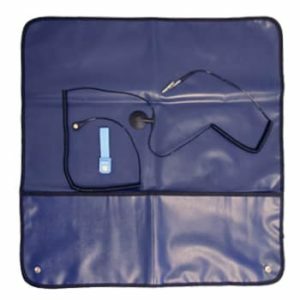 The unit comes with a grounding pad, which is large enough for you to work on. 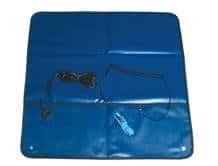 This grounding pad prevents the development of electrical charges and comes with multiple grounding points exposed at the top of the pad. With the combination of a wristband, you can ground yourself with the pad while working on electronics. By doing so, any static electricity developed from your clothing will run through the metal ground and not the device you’re working on. 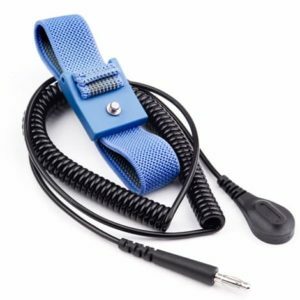 While personal grounding units are enough in most cases, you will find the need to utilize accessories from time to time. 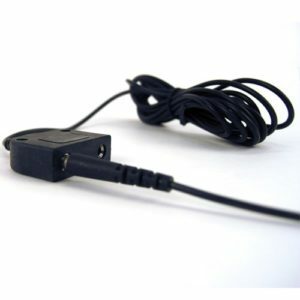 The accessories include additional floor matting for working on equipment, longer grounding cords for connecting you to set ground points (perhaps the ground point is in the floor and you’re forced to work towards the top of a server unit). Whatever the case may be, additional equipment and extension units can prove beneficial. Whenever working with electronics, utilizing personal grounding is important. Whether working on a personal computer or a corporate server, the insides of electronic devices are extremely delicate. A single charge can cause extensive damage. Personal grounding units help prevent this.